Howard Pritchard and Andy Rowland both score hat-tricks, as the Town put seven past the sorry Shots. 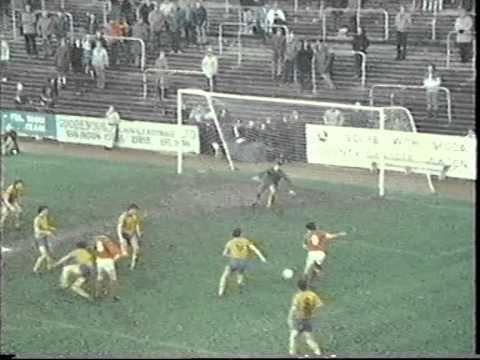 Colin Bailie nets a late own goal to give Aldershot the lead - the Shots go on to double their lead, winning 2-0 at the County Ground. 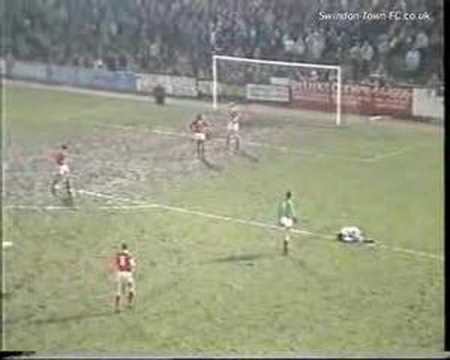 Lou Macari pokes home the winner, as the Town come from behind to beat Aldershot. 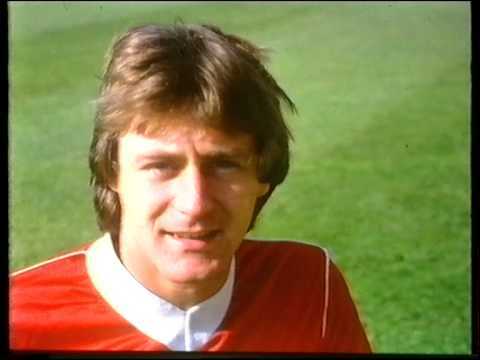 Two goals to the good - but Fraser Digby's sending off means that Jimmy Quinn has to take his place between the sticks - future Town boss Andy King pulls one back, and the Shots eventually win 3-2 to end the Town's Wembley dream. 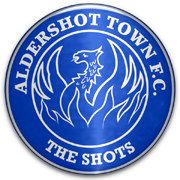 The Town win on penalties in the JPT, after Aldershot threaten to embarrass them. 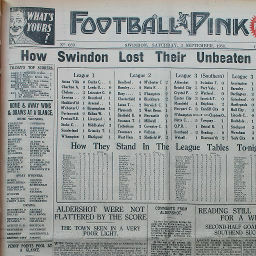 Click to view a newspaper report of Swindon's 3-2 win against Aldershot in the 1932-1933 season. 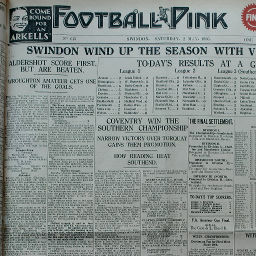 Click to view a newspaper report of Swindon's 1-0 win at Aldershot in the 1932-1933 season. 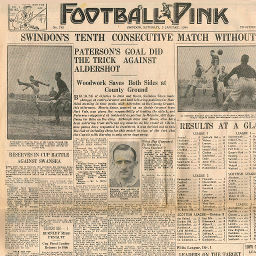 Click to view a newspaper report of Swindon's 1-0 win against Aldershot in the 1933-1934 season. 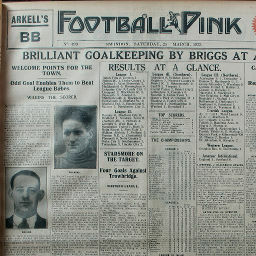 Click to view a newspaper report of Swindon's 2-1 win at Aldershot in the 1933-1934 season. 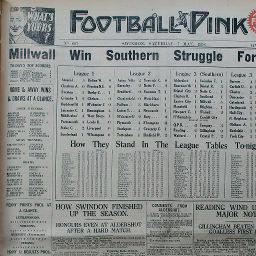 Click to view a newspaper report of Swindon's 3-2 win against Aldershot in the 1934-1935 season. 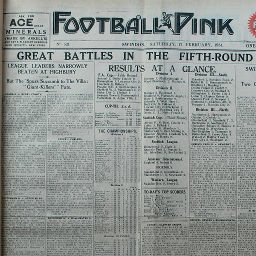 Click to view a newspaper report of Swindon's 3-2 win against Aldershot in the 1935-1936 season. 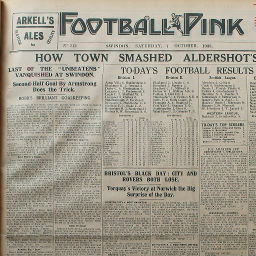 Click to view a newspaper report of Swindon's 1-2 defeat at Aldershot in the 1936-1937 season. 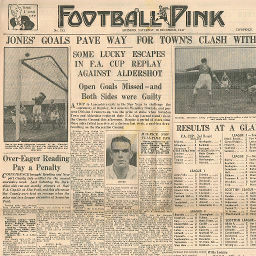 Click to view a newspaper report of Swindon's 1-1 draw at Aldershot in the 1937-1938 season. 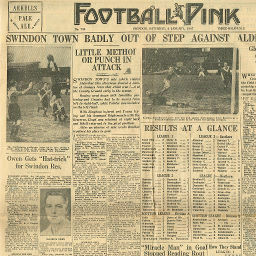 Click to view a newspaper report of Swindon's 0-1 defeat at Aldershot in the 1938-1939 season. 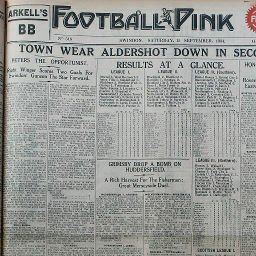 Click to view a newspaper report of Swindon's 2-2 draw against Aldershot in the 1939-1940 season. 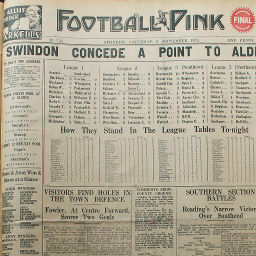 Click to view a newspaper report of Swindon's 7-0 win against Aldershot in the 1946-1947 season. 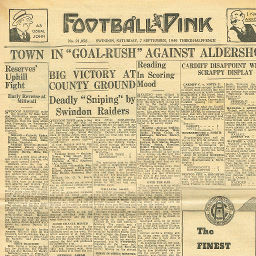 Click to view a newspaper report of Swindon's 0-2 defeat at Aldershot in the 1946-1947 season. 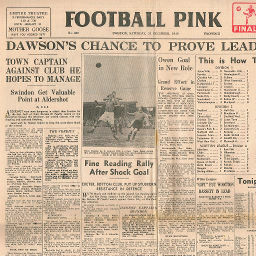 Click to view a newspaper report of Swindon's 2-2 draw at Aldershot in the 1947-1948 season. 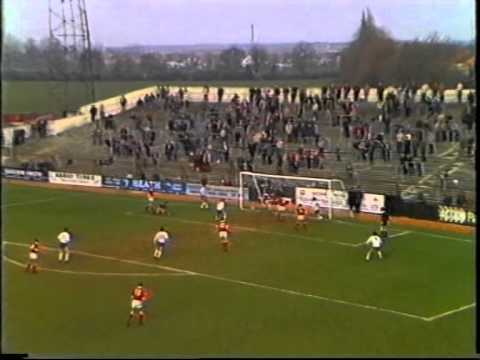 Click to view a newspaper report of Swindon's 0-0 draw at Aldershot in the 1947-1948 season. 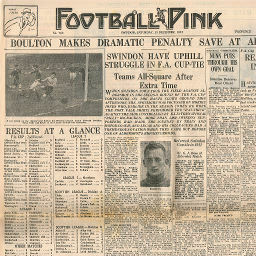 Click to view a newspaper report of Swindon's 2-0 win against Aldershot in the 1947-1948 season. 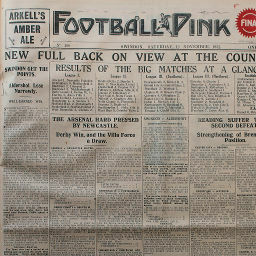 Click to view a newspaper report of Swindon's 1-0 win against Aldershot in the 1947-1948 season. 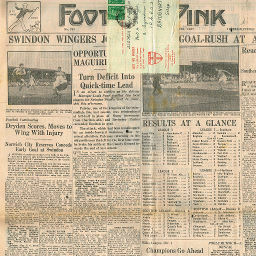 Click to view a newspaper report of Swindon's 2-1 win against Aldershot in the 1949-1950 season. 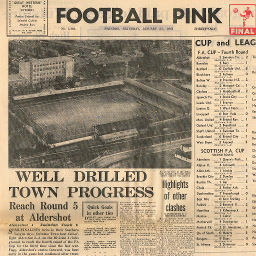 Click to view a newspaper report of Swindon's 0-0 draw at Aldershot in the 1949-1950 season. Saturday, January 24, 1953 SPIRITED FIGHT AFTER REVERSE IN 4 MIN. 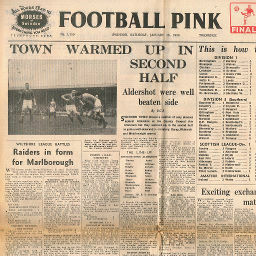 Click to view a newspaper report of Swindon's 2-2 draw at Aldershot in the 1952-1953 season. 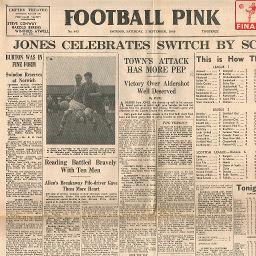 Click to view a newspaper report of Swindon's 1-0 win against Aldershot in the 1954-1955 season. 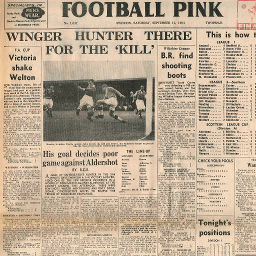 Click to view a newspaper report of Swindon's 0-0 draw at Aldershot in the 1954-1955 season. 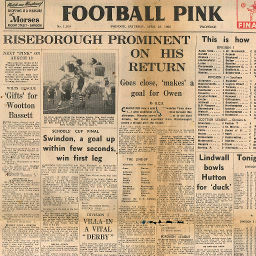 Click to view a newspaper report of Swindon's 1-1 draw at Aldershot in the 1955-1956 season. 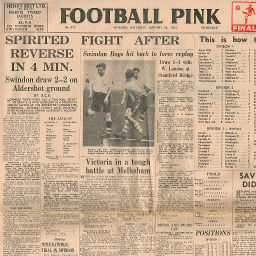 Click to view a newspaper report of Swindon's 1-2 defeat against Aldershot in the 1956-1957 season. 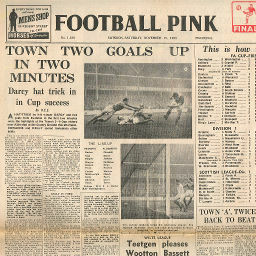 Click to view a newspaper report of Swindon's 2-2 draw at Aldershot in the 1956-1957 season. 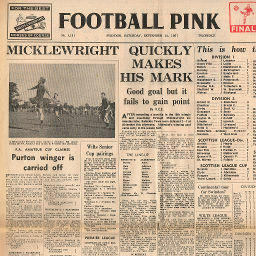 Click to view a newspaper report of Swindon's 1-2 defeat at Aldershot in the 1957-1958 season. 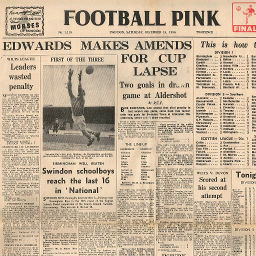 Click to view a newspaper report of Swindon's 3-0 win against Aldershot in the 1957-1958 season. 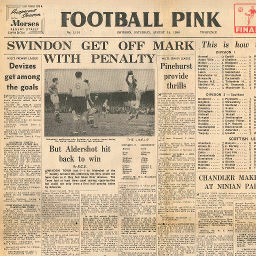 Click to view a newspaper report of Swindon's 5-0 win against Aldershot in the 1958-1959 season. 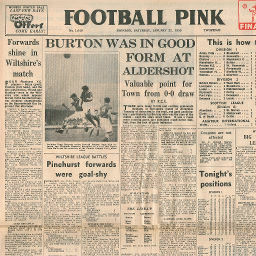 Click to view a newspaper report of Swindon's 2-1 win at Aldershot in the 1963-1964 season.